The incoming Prime Bradbury of Australia is under fire today for peeling cash out of the ALP campaign kitty, in an effort to improve his outdoor aesthetics. The leader of the Opposition and Big Bang Theory megafan, is facing questions about misusing the party’s campaign funds for his own personal calf implants. 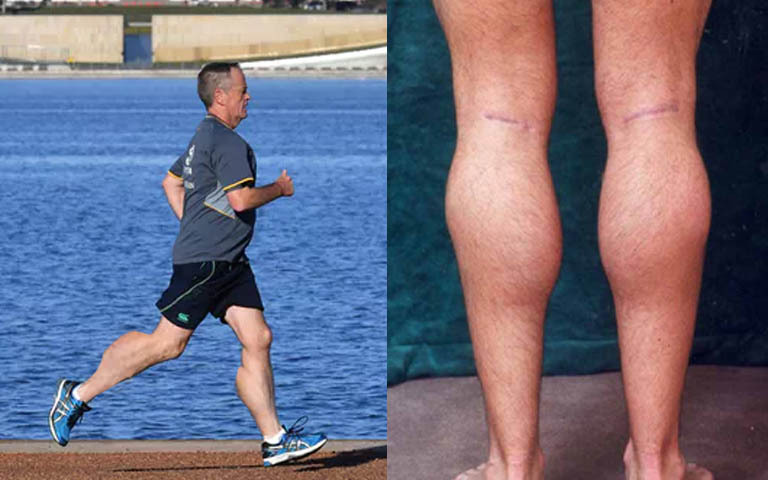 In an exclusive interview with The Advocate this afternoon, Bill Shorten did admit that he has used the funds to improve the muscle tones in his calves. “Everyone knows it’s the hardest place in the body to gain mass,” said Bradbury Shorten sipping from his protein shaker filled with just water. “And with all the running I like to do to show that I’m a normal person I just can’t put anything onto my little twiggy stick legs,” he sighed. “So, I think was worth the money form the ALP kitty box to improve my aesthetics and lift my confidence,” Shorten said of his decision to follow in the footsteps of thousands of other young men around the country and have his lower limbs beefed up a bit. Shorten then explained that he also hopes that the calf implants will help him on the campaign trail with his speed skating form.